Easy to clean and fill. This horse sprayer features Tolco's ergonomically correct trigger head that makes lifting and using a large full bottle easy on wrists and arms. Use to apply liquids on your horse - from fly spray to coat conditioner. 36 oz. 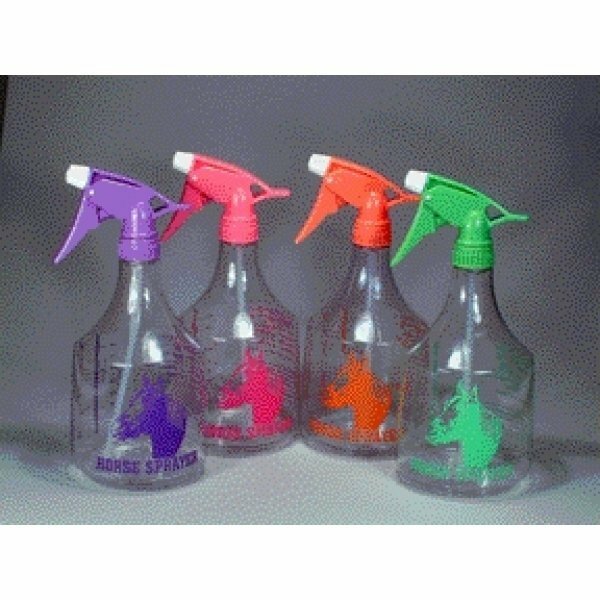 Neon/Clear Horse Sprayer has different options and/or variations, please choose below.